Ready to take your game to another level? 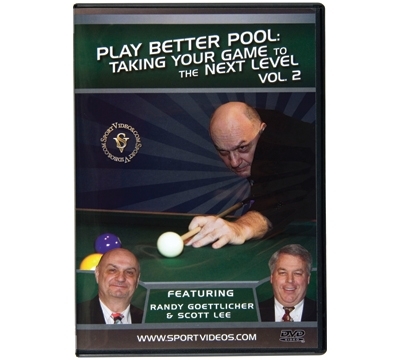 BCA Certified Master Level Instructor, Randy Goettlicher, along with pro-instructor and trick shot artist, Scott Lee, detail the essential principles necessary to excel at pool. Volume 2, (71 min. ), takes your game to the next level, covering rules, cue ball quantification, three rail and two rail kicking and frequently asked pool questions and more.